1. Kerry is one of the best places for stargazing in Europe because some areas of the county have no light pollution whatsoever. The local authorities have even set up a Dark Sky Reserve, stretching from Kells Bay to Caherdaniel, which marks the best stargazing spots. On moonless nights, the Milky Way is clearly visible. 2. In Killarney National Park, visitors can find the beautiful Muckross Abbey, a 15th-century Franciscan friary, with a history going back to the 6th-century and the early days of Christianity in Ireland. 3. Besides Christian sites, there are plenty of ancient monuments in Kerry, a testament of the region’s Celtic heritage. The most spectacular are the stone circles in Uragh. Many other stone ring ruins can be found throughout the county, along with Iron Age forts and hamlets. 4. 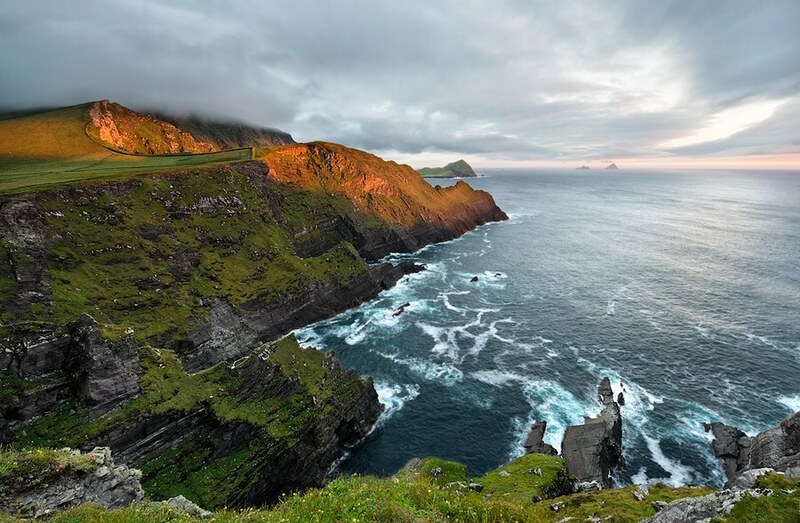 Kerry is one of the counties that the superb Wild Atlantic Way travels through. This is the longest coastal route in the world, and surely one of the most scenic. 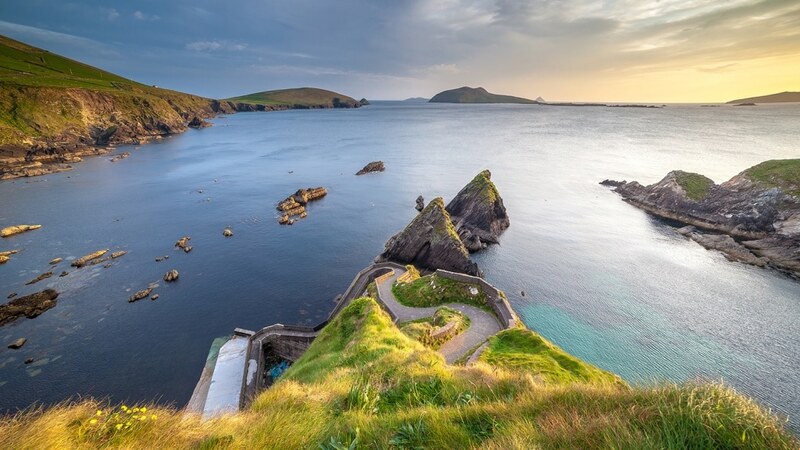 Traversing Kerry from north to south or vice-versa on the Wild Atlantic Way takes you by numerous attractions, such as historic abbeys and castles, remote beaches, and charming towns, climbing up to the highest asphalted mountain passes in Ireland. 5. Kerry hosts a number of interesting festivals each year. The town of Listowel celebrated every year Writers’ Week, the longest running literature festival in Ireland. Tralee has the Rose Festival. The most unique festival, however, is the Puck Fair, in Killorglin. A Pagan festival with a history of 3000 years, Puck Fair takes place every August. 6. A visit to the Bally Carbery Castle ruins is the best way to immerse yourself in the glorious past of the region. Nearby, you can find Cahergall Fort and Leacanabuaile Fort. The perfectly preserved historic ruins are lit by torches at night, and the atmosphere is truly magic and can feel easily like a journey through time. 7. Kerry Geopark is a unique landscape of immense geological, historical, and archaeological value. 8. Conor Pass is the highest mountain pass in Ireland and offers wide views of the dramatic scenery of Kerry. 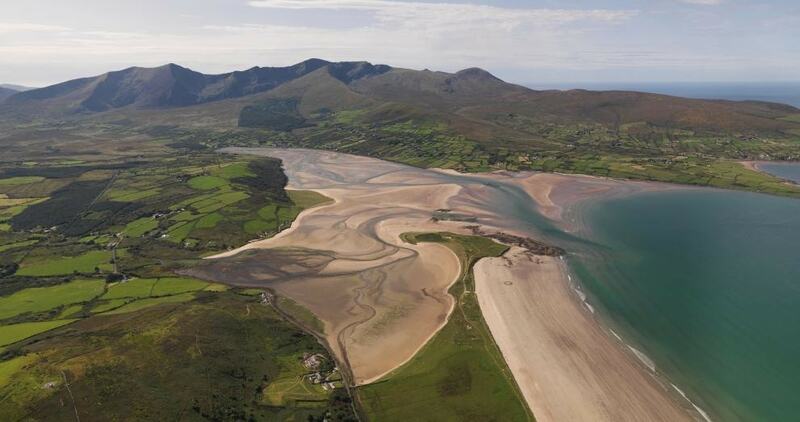 Brandon Mountain Range and Bay Area, Dingle Peninsula near Tralee in Co. Kerry. 9. Waterville is a small coastal village in Kerry, which was a favourite spot of actor Charlie Chaplin. A statue dedicated to his memory can be found in the village, and there is also an annual festival celebrating his life and career. 10. Ten of the highest peaks in Ireland are located in Kerry, the county is a top hiking destination and outdoor activities are a big thing among locals and visitors alike. Watersports, hill walking, and mountain climbing are the most popular activities in the region. 11. A great local experience in Kerry is to get acquainted with one of the county’s national sports and watch a Gaelic football match. Football is a major local obsession and is a great topic of conversation if you want to befriend some locals. 12. An intriguing legend surrounds Ross Castle in Killarney National Park. 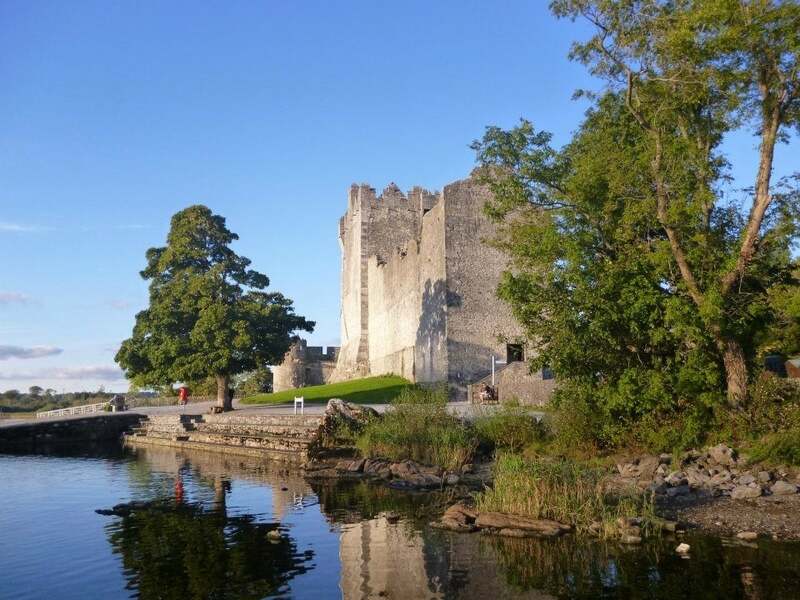 The castle was built in the 15th-century by O’Donoghue Mor, and many believe that on the first morning of May every seven years, the ghost of O’Donoghue rises from the nearby lake on a white horse and circles the castle. If someone catches a glimpse of the ghost, they can be assured of good luck in life. Are you for a accommodation in Kerry?